For a chance to win the boxset enter via our competition app below. 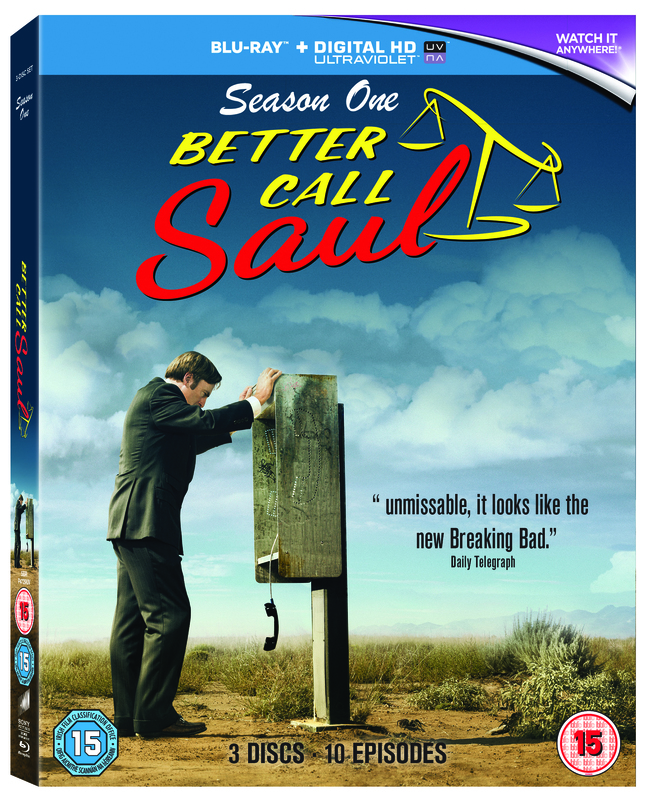 BETTER CALL SAUL: SEASON ONE, set six years before Albuquerque’s most notorious “criminal” attorney Saul Goodman (Bob Odenkirk) becomes Walter White’s lawyer, stars Bob Odenkirk (TV’s Breaking Bad), Jonathan Banks (TV’s Breaking Bad), and Michael McKean (This is Spinal Tap). The AMC drama series, produced by Sony Pictures Television, comes from creators Vince Gilligan & Peter Gould, and executive producers Mark Johnson and Melissa Bernstein (TV’s Breaking Bad). Rounding out the ensemble cast are Rhea Seehorn (TV’s Franklin & Bash), Patrick Fabian (The Last Exorcism) and Michael Mando (TV’s Orphan Black). The competition ends at 23:59 on 26 November 2015. The prize consists of a Better Call Saul Season 1 boxset. 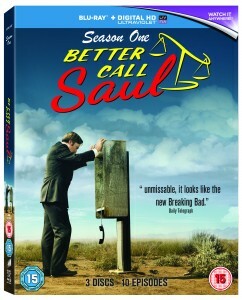 One comment for "Win Better Call Saul Season 1 Boxset"